You Dream It, We Help! 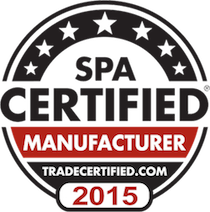 Best Rated Hot Tub Showroom in NE Florida! 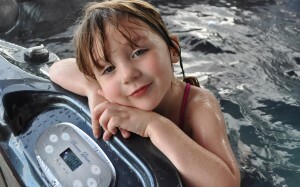 Spas to Fit Your Budget Great pricing is a cornerstone of our business. It’s the reason we are able to compete with the national online companies while allowing you local service, selection, and customer support. Relaxation and Therapy Jacksonville’s #1 Showroom has spas to match your health needs. From hydrotherapy and relaxation to swim and training spas, Atlantic Coast Spas carries a wide range of sizes and therapeutic options. Our customizable Spa installations can include: fountains, waterfalls, lights, gazebos, statues, mosaics, tile, brick, stone, glass, wood and artificial rock. If you can dream it, we can build it! Local Service, Experienced Staff, Parts Department at Online Prices! We are Jacksonville’s premier spa & hot tub dealer servicing all of Northeast Florida. Atlantic Coast Spas offers Premium Leisure, Sunbelt Spas, Composite Spas, and Rio Swim Spas. We also offer replacement parts, spa covers, and accessories. 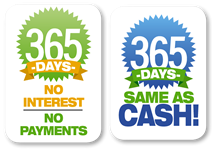 Same as cash financing is available! Hot tubs provide the ideal resources for entertaining friends, spending quality time with family or simply relaxing away the stress of a busy day. Our hot tubs & spas can be installed indoors for private use throughout the year or in addition to an in-ground pool to create a luxurious and elegant oasis in your own backyard. Jacksonville Residents find that by enlisting the help of Atlantic Coast Spas makes purchasing, installing, and servicing spas and hot tubs convenient and easy. We understand the serious nature of ensuring these tubs are clean and operating properly. Staffed with highly trained and experienced technicians, residents will find that this company will clean all areas of their hot tub including surface debris, drains, jets and water sources to ensure that all bacteria is removed. Stocked with many different models and styles to choose from, a reputable expert can provide the information about each of the hot tubs Jacksonville residents are seeking to allow them to select the model that will provide them with many years of enjoyment. Do you want a portable hot tub, swim spa or custom spa installation? Or are you looking for parts, repair, or hot tub and spa covers? 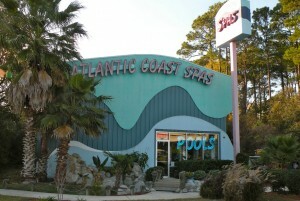 At Atlantic Coast Spas you get the great prices, selection and service you deserve. We are located on St. Johns Bluff (at the 9a intersection) three quarters of a mile south of Atlantic Blvd. and 2.5 miles north of Beach Blvd. We strive to compliment aggressively affordable online prices with the service and knowledge Jacksonville residents have come to experience over the last 20 years! Stop by to take a look. For a larger interactive map, Click Here.